Whether you are installing a new shower or undergoing a complete bathroom remodel near Jacksonville, it is important that you choose the right type of showerhead for your needs. The right choice will be practical, environmentally responsible, and cost effective while rounding out your bathroom design in an aesthetically satisfying manner. Feel free to keep reading if you are interested in taking a look at the factors to consider when choosing a showerhead. Modern shower design has reached an exciting level of innovation, leaving the consumer with seemingly countless options to choose from. When you think about your new shower, picture yourself walking into it. Where does the water come from? You might want a traditional showerhead that protrudes out of one of the vertical walls, or you might want your water to cascade from directly overhead. Consider the way you want to feel the water when deciding on a showerhead. If you go for a conventional showerhead that extends off of a wall, consider your height; modifying your plumbing can be tricky, but you might enjoy the use of a handheld showerhead if you are on the shorter side. Your household probably uses a substantial amount of water on a daily basis. If you have a large family and would like to cut down on the amount of water that goes to waste, consider purchasing a high-efficiency showerhead. Try to find a showerhead with a flow rate of two gallons per minute or less in order to make the most of your water. Choosing efficient appliances helps you do your part to reduce your carbon footprint while saving money on your monthly energy bills at the same time. If you are planning a full bathroom remodel, you are probably already looking for ways to cut costs and maximize your efficiency. The right showerhead will offer you the comfort and practicality that you need at a price that you can afford. Be sure to choose a showerhead that finds a balance between value and price, and consider the potential for energy savings when making your decision. A complete kitchen remodel can increase the value of your home and make your kitchen more functional, but it can also cost a lot of money. Instead of remodeling the whole space, why not do a minor kitchen remodel near Jacksonville by tackling some easy, inexpensive projects? Watch this video to get ideas about how to revamp your kitchen without remodeling the whole thing. Rather than replacing all your kitchen cabinets during a kitchen remodel, refinish the ones you already have and get a new look for a fraction of the price. Replace your sink and fixtures for a few hundred dollars and give your kitchen a new style. Or add recessed or track lighting to the kitchen to light the space differently. Work with a company that specializes in kitchen and bathroom design, and they will be able to provide you with more excellent ideas that fit your budget. You can’t see the main sewer line that carries waste away from your home, but it is obviously very important. You should pay close attention to the warning signs of a clogged sewer and call a plumber immediately if you sense danger. It’s not always easy to diagnose a clogged sewer in Jacksonville, but there are several things that you should look and listen out for in your home. Here is how you can tell your sewer line might be clogged. 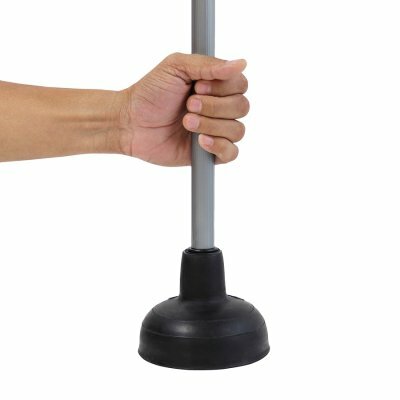 Your toilets clog for no reason. If your toilets clog every now and then and there’s a good reason for it, there is probably nothing to be alarmed about. However, if your toilets clog regularly and they clog without a reason—for example, trying to flush too much toilet paper down them—you could have a serious problem with your sewer line. A plumber should investigate the issue further. Your toilets make strange sounds, even when you’re not using them. This is one of the first signs of a problem with a sewer line. Because all of your waste water can’t leave your home through the line at once, it will back up and your home’s toilets will make gurgling sounds as the water inside of them percolates. This can happen when you use a sink, a shower, or even a washing machine. Your basement’s drains have water pooling around them. The drains in your basement are supposed to carry water away, not fill your basement up. When you have a clogged sewer line, though, water can come up through your drains and cause pooling to take place around them. You should always be concerned whenever water is coming up a drain instead of going down it. Your home smells like sewage. In a worst case scenario, raw sewage can get so backed up that it ends up coming up through the drains in your home. It will smell bad and serve as a strong sign that it’s time to call the plumber and have him take a look at the situation. If you own a home, there’s a good chance that you’re going to need a plumber at some point to fix a problem. 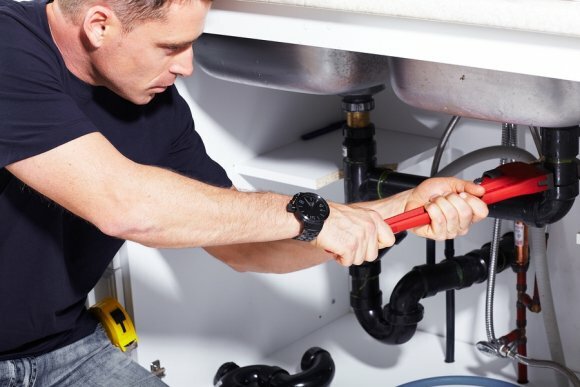 Eagerton Plumbing offers a wide range of plumbing services in Jacksonville, and can send a plumber to check out any issue you’re having at a moment’s notice. There is no job too big or too small for us. Whether you need simple toilet repair done or an entire sewer line installation, we can come to your home, assess the problem you are having, and find a quick solution for you. We have more than 50 years of experience with plumbing pipes, water heater repair and replacement, and more. We can also help you install faucets, showerheads, kitchen and bathroom fixtures, and whatever else you need installed in your home. When you trust a plumber from Eagerton Plumbing with your needs, you will be in good hands at all times and get a great deal.